April birthdays have the joy of claiming diamond as this month’s gemstone, but this king of gemstones is celebrated by all. A diamond reflects the rarity, brilliance and breathtaking fire of a gem that has survived a journey of billions of years for the pleasure of adornment. Fabulous tales and myths abound about the power of diamonds. 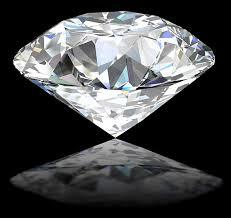 Success, fearlessness and invincibility are some of the mystical properties ascribed to this famous gem. The unmatched beauty and elegance of a diamond makes it the perfect jewel for marking life’s important occasions, from your newborn’s birth to a graduation promotion or a birthday. What is your diamond story?